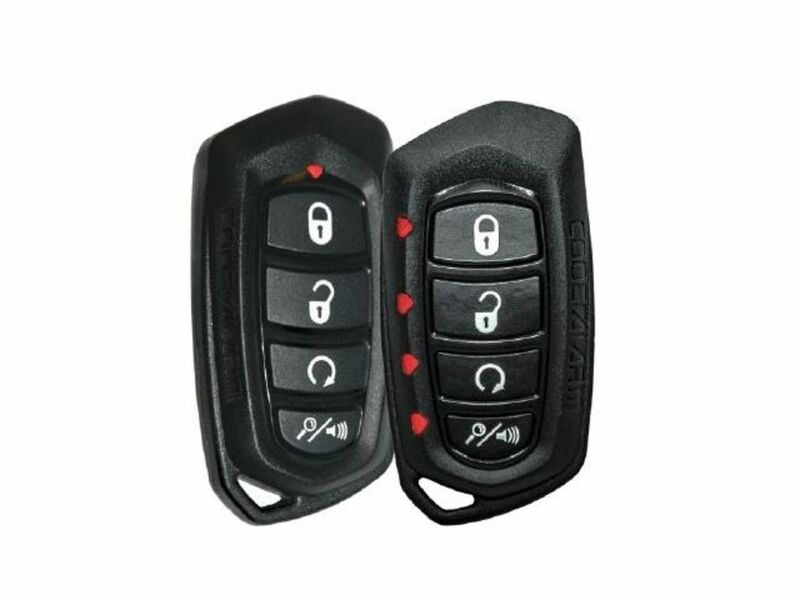 Electronic key fob identity theft is when a thief takes an electronic device specifically made to find, track, lock, and detect your key fob code, then replicate it to gain access to your vehicle. It’s becoming a serious problem for automakers as they try to find solutions. Ironically it is more difficult to steal the old fashion way, a modern car equipped with these new keyless entry key fob systems. But if a thief has the right equipment to detect, track, and replicate your fob code, your car becomes fair game from car burglary to vandalism and grand theft auto. Here’s how to prevent this. - Electronic car fob identity theft is a growing problem for automobile manufacturers. - Ideally fobs made in the future for AVs and EVs will come with cyber protection built-in. - Hackers can easily infiltrate your car by using a device to connect to your fob. - They don't even need to be in the same room as you to do it. - To keep your car safe, carry your fob in an electromagnetic field-blocking shield RFID when you go out or use tinfoil or a tin can. - At home, make sure to store your keys in a spot where they will continue to get protection. With the advent of both driverless and electric cars where an installed starter ignition switch and a turn of a key either on the tree or in the dash is no longer required, starting a car and protecting it from vandalism and theft as a result of this, has become a little more complicated. It has also become more complex starting and shutting off electric cars and electric autonomous cars as it is, as well. The common issue new EV owners encounter with their new EVs is how to start and stop the motor. This is where the key fob now becomes an integral part of the security and the operation of your vehicle now more than ever, as the fob not only acts as a security device anchoring your ownership identity to your vehicle for it to recognize you, but also acts like a homing device, alerting your vehicle of your presence, and to go into standby mode for pending operation, as you are about to get in and go. The car computer powers up, cuts the exterior and interior courtesy lights on, activates climate control, unlocks in some cases opens the door, displays welcome screen messages and turns on your choice music from the infotainment, and it either goes into summons mode to go find you, or waits for you to get in and belt in so it can go. When finished it waits for you to get out and walk away for it to assume you’re done for now, to lock up, shut off, and power down until your next episode. So you see, if we’re not careful in the future with our EVs and AVs, the fob can become the root of all evil. One avenue of hacking and/or theft can occur through the fob, so cyber securing it with encryption will become a norm eventually soon. But like most things in life that can either be fixed or stolen, if you have the right tools what makes for a great anti-theft device immediately becomes useless at the hands of thieves. There is a device that can signal, track, lock onto, and replicate your key fob signal to gain access and appropriate your vehicle. You can even have the fob in your pocket while they’re doing this for this to happen. This is where you hear the stories around Christmas season of shoppers putting their purchases inside their car at the mall lot to go eat or resume shopping, to know they secured the car with the fob alarm, to come back and the bags are all gone. Or the car is gone. Probably at the moment you clicked is the moment they got you. Another popular story, one that fairly recently happened in my neighborhood one town over I found out happened from the app NextDoor (it’s kind of the Facebook of the eyes and ears of what’s going on in your neighborhood, very handy), is a row of cars on one block in a residential street were broken into and/or vandalized, but there’s no damage, no broken glass or metal. Objects were removed from all those cars. But nothing seems to be damaged and no one heard anything. In both these scenarios an electronic defeat device was used to detect, track, lock, and replicate the original fob’s signal. With that, the perps can unlock and open your car, take anything they want, vandalize it if they choose, or steal the car. In the mall the fob could be in your own pocket. At home with your car parked down the block or in front on the driveway, the fob was in the empty fruit punch bowl by the front door in the foyer. In the neighborhood a female was seen getting out of a car with a male driver, and she walked down the block pointing something first at the houses then at the cars, and one by one by one, witnesses say, she easily opened the door to each car and rummaged through them stealing things. By the time police came it happened so quickly the couple were gone. So, we’re here. What to do to prevent this? I’m often asked by friends and neighbors what can a car owner do to protect their car from these fob defeating mechanisms? I like to tell people that you need to store your keys in a place where it’s hard to pick up that signal. The rule of thumb is wherever there’s a place you know in your home or office that has poor cell phone or radio reception, it’s the same place that’s safe to store your keys. If you use your cell phone or tablet at home or work frequently and without WiFi, then you should already have an idea where to put your keys once you get there. Ideally a fireproof safe is the safest haven. In a pinch a tin can or tinfoil will do. In the case of the foil, you can wrap that around the fob and pack it to go, to use that as a shield wherever you go. Out on the road an electromagnetic field-blocking shield case or bag, an example of this would be RFID blocking cases and wallets, make excellent fob protectors. So protecting your fob goes a long way to help abating electronic fob identity theft. Until car makers are able to harden the security process in fobs from hacking and sabotage, wrapping them in simple things like foil or an RFID wallet helps. Be careful storing packages in the trunk or hatch of your car at the mall or store to go back inside to resume. If someone’s watching and during the holiday season someone definitely will be, especially in the more tony areas of town, you’ll become vulnerable without knowing who the perp is. An anchored locked container inside your car would also help prevent this problem from happening. These crooks like simplicity. They’re not going to spend time easily getting inside your car to spend magilla time ripping open your locked container. What do you think of electronic key fob identity theft? Let us know in the comment’s section.